Guide to Proxy Server: What is the Proxy Server? 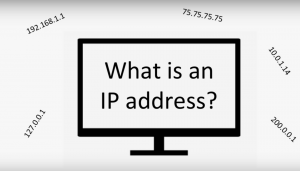 Do you want to know what’s is the proxy server and Different type of proxies? Read our guide to proxy to know that and How to use a proxy your browser. A proxy server is usually a server that resides between a client application and a web browser normally. Mainly the server translates all requests to the real server for the checking if it can meet the all the requests itself. Otherwise, it sends the request to the real server in case of failure. In other words, the proxy server normally a dedicated computer or a software system which is running on a computer that works as midway between an endpoint device, such as a computer, and alternative or another server from which a user or client is applying a specific service. The proxy server can reside in a similar machine as a firewall server also. Sometimes it may exist on a different server, which sends the requests over the firewall. It is considered as the best advantage for the proxy server that it’s cache can serve all the users together normally. In case of requesting in the same time for more than one Internet sites frequently that exist in the proxy’s cache, which will directly impact and develop user response time. A proxy can help to log its interactions also, which can be more beneficial for troubleshooting in some problem-solving factors. A proxy server normally resides on the one’s personal computer, or at numerous points between the user’s computer and terminal servers on the Internet. A proxy server which normally exchanges unmodified requests or applications and basically responses is called a gateway or a tunneling proxy normally. A forward proxy search and collect data from various website for the original request of user. In other words, a forward proxy is used to collect or retrieve data from numerous sources because of being an Internet-facing proxy in most of the cases anywhere on the internet. A reverse proxy server is an internal-facing proxy server that typically resides behind the firewall in a private network. A reverse proxy normally leads client requests to the suitable backend server. Reverse proxy server ensures a higher level of control and abstraction to develop the easy flow of network traffic servers and clients. Normally reverse proxy works the tasks such as load authentication, balancing, caching or decryption.